When I first got this phone I was amazed at how good it looked. It’s light and thin and definitely looks like a premium device despite being a fraction of the price of the latest flagships. I used the stock app launcher for a few days but decided that EMUI was not my thing. A quick install of a third-party launcher from the Play Store and I was back to loving the device. The camera is very impressive and takes great photos. The camera app has lots of features including the usual portrait and panorama but also others like Light painting and Time-lapse modes which are good fun to use. There’s even a document scanning mode meaning there’s no need to install a separate app just to get digital copies of documents. Unfortunately, due to the low price there are some features that aren’t great. It still uses a Micro-USB connection and doesn’t support fast charging. These are things that you can expect on the latest flagship devices but as this costs considerably less there have to be some compromises. I think Huawei have picked the correct areas to focus on and sacrificed the less important aspects meaning the phone is incredible value for money. All in all the Huawei P Smart is a fantastic phone and one i’m happy to be seen using. I have been lucky enough to have been given an LG G4 32GB phone to test for the last few weeks. I’ve only really used Nexus devices for the last few years so was interested to see what features LG had added to stock Android. Whilst I’m not using all of the features I have to say that I am very impressed with most of them. The device has a 5.5 inch 2560×1440 (Quad HD) IPS Quantum display at 538 PPI. The colours really stand out on the screen compared to my Nexus 5 and the large screen really helps when viewing videos/websites/photos. It also has a 16 Mega-pixel rear camera with laser autofocus, optical image stabilisation and a large image sensor which allows it to capture amazing quality pictures/videos. I’ve attached a couple of my favourites from a recent trip to Blackpool’s Sea Life Centre. The camera also supports HDR and saving images as RAW which would definitely be useful if you’re big on editing photos. The front camera is a surprisingly good 8 mega-pixels which makes taking selfies worthwhile! You can take really good pictures without worrying that they’ll be low quality. The phone has 32GB of storage available and can be expanded via microSD card to a staggering 2TB! The 3GB of RAM and the 1.8GHz 64-bit Hexa-core CPU keep the device running really smoothly with no lag at all. It has all of the usual connectivity; Wifi (including a/b/g/n/ac) support, Bluetooth 4.1, NFC and GPS. It also supports 4K Slimport. One of the other features that I absolutely love about this device is the tap-to-wake/sleep support. It’s so natural to just double-tap the screen and see any notifications or wake the device up to use it, and double-tap to turn the screen of is very useful too. This is definitely something I will need in any future phone/tablet I get. I recently had an issue on my HTC Desire where it stopped showing photos in the messages application. I initially thought it was due to “Facebook for HTC Sense” that i had recently set up. It turns out however, that this is due an issue with Rom Manager’s “Fix Permissions”. A post on the AndroidForums site explains what to do to resolve it. 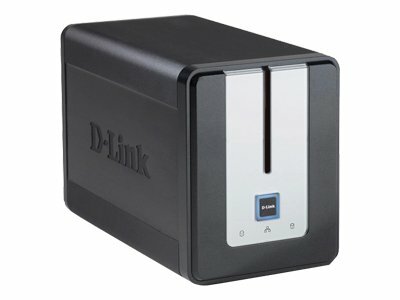 I recently bought a DLink DNS 323 NAS Box as i needed somewhere to store my media files and also make them accessible when my main PC was off. I also bought 2 2TB Samsung Disks to go in it. At the time i didn’t realise that they were AFT drives and the NAS didn’t officially support them. Luckily a few days after it all arrived DLink released a beta version of the firmware and this added support for the drives. I decided that rather than creating a RAID and mirroring the disks i would set them up as individual disks and create a snapshot of the data each night. This might sound like the same result but much more work but actually this works much better for me than RAID as the main benefit (there are several others) is redundancy against hardware failure. The likelyhood of this happening is very small as disks now last a long time. The copy also helps if i accidentally delete a file (RAID would delete both copies…). As soon as i had explored the web interface i jumped straight into the ‘hacking’ of the NAS. This is really simple using the ffp fun_plug script. I used the tutorial here which guides you step-by-step through the ‘hack’ and once i’d completed that i used another tutorial on the same site to install a number of additional packages including a web server (apache/php etc) and rsync (used to do the snapshot). To do the snapshot i followed yet another tutorial which explains how to set it up (it includes a number of scripts you can copy/paste) and this has worked brilliantly for a few weeks now. The first time did take a very long time but now they are down to just a few minutes (depending on how much has changed on the primary drive). I also set up a bittorent server to allow me to download torrents (there are legal ones you know!) without having tohave a full pc turned on. That tutorial includes a number of additional tweaks which come in handy. I’ve had the NAS for about a month now and it was a very useful purchase. Well worth the money as it now means i don’t need to turn my desktop pc on as much and can stream music/video to my phone and laptop with ease. Lifehacker recently posted a way of printing files remotely using Dropbox. The original post can be found here. I set this up on my machine and then realised that the script had to be running all the time. While it only uses a small amount of memory I decided to script a way to run the script remotely, and also to kill it when I had finished printing. I have recently discovered Microsoft Powershell so decided to use it to create this script. There are two powershell scripts included in the zip below. This is the main file. It checks for two files based within your Dropbox. If the ‘launch’ file is found, it launches the printing script. If the ‘kill’ file is found it kills all wscript processes. 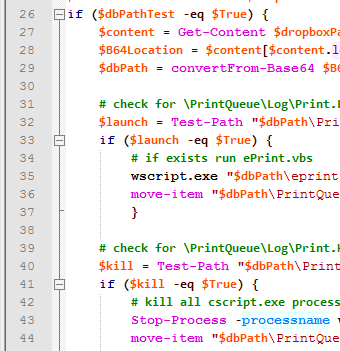 This could cause problems if you run other wscript processes for other reasons but I do not know if it is possible to identify the process that deals with the printing script. This file creates a scheduled task that runs every 1/2 hour. It launches the TogglePrinting.ps1 powershell script. ...but there shouldn't be any problems! DestroyTwitter is a Twitter client built to run on Mac, Windows, and Linux using Adobe AIR. It is completely free (although you can donate to support it) and is by far the best desktop client i have found for Twitter. It supports theming, and there a large number of themes already available for download.